Maybe the anticipation didn’t reach that of ardent fans waiting for the trailer to the next Star Wars movie. And maybe it didn’t rival that of passionate followers of Harry Potter breathlessly lining up at midnight to make sure they could score a copy of the latest J.K. Rowling opus. But, for most TEI members, the release of the OECD’s BEPS (base erosion and profit shifting) final report issued by the Organisation for Economic Co-operation and Development in October—in terms of making a meaningful dent in lives—probably rivaled what ardent fans of the teams that will be playing in Super Bowl 50 will experience. Introducing coherence in the domestic rules that affect cross-border activities. Reinforcing substance requirements in the existing international standards to ensure alignment of taxation with the location of economic activity and value creation. Improving transparency, as well as certainty for businesses and governments. The BEPS measures were agreed upon after an intensive, two-year consultation process among OECD, G20, and developing countries and stakeholders from business, labor, academia, and civil society organizations. The OECD presented the BEPS measures to G20 finance ministers during the meeting hosted by Turkey’s Deputy Prime Minister Cevdet Yilmaz on October 8 in Lima, Peru. As we go to press, the focus now shifts to designing and putting in place an inclusive framework for monitoring BEPS and supporting implementation of the measures, with all interested countries and jurisdictions invited to participate on an equal footing, according to those participating in the release of the report. The final package of BEPS measures includes new minimum standards on country-by-country reporting, which for the first time will give tax administrations a global picture of the operations of multinational enterprises; treaty shopping, to put an end to the use of conduit companies to channel investments; curbing harmful tax practices, in particular, in the area of intellectual property and through automatic exchange of tax rulings; and effective mutual agreement procedures, to help ensure that the fight against double nontaxation does not result in double taxation. The BEPS package also revises the guidance on the application of transfer pricing rules to prevent taxpayers from using so-called “cash box” entities to shelter profits in low or no-tax jurisdictions, and redefines the key concept of permanent establishment, to curb arrangements that avoid the creation of a taxable presence in a country by reliance on a definition perceived to be outdated. The BEPS package offers governments a series of new measures to be implemented through domestic law changes, including strengthened rules on controlled foreign corporations, a common approach to limiting base erosion through interest deductibility and new rules to prevent hybrid mismatch arrangements resulting in double nontaxation through the use of complex financial instruments. More than ninety countries are working together to develop a multilateral instrument capable of incorporating the tax treaty-related BEPS measures into the existing network of bilateral treaties. The instrument is projected to be open for signature by all interested countries in 2016. Some of the fifteen actions discussed in the BEPS final report, which totaled more than 1,500 pages, were straightforward and were not expected to generate much confusion or controversy. However, others were potential game-changers that will affect the activities of multinational taxpayers for decades to come. Already, our experts say, there are some critical points to keep in mind as you read the BEPS Project final report. OECD will have to develop a framework by which it can combine a more inclusive decisionmaking approach with the kind of full and transparent political commitment to those standards on the part of the participating countries that allows the new standards actually to achieve the status of soft law. OECD will need to think hard about what the appropriate “market” for its standards will be, recognizing that effectiveness does not necessarily lie in trying to be all things to all people. Implementation will require new internal infrastructures. While implementation of some of the recommendations in some jurisdictions may require relatively modest changes to existing regulatory or administrative guidance, in many cases, implementation could require the creation of an entirely new internal infrastructure—statutory, regulatory, and administrative. The transparency regime will necessitate new protocols for information. The new transparency rules will require tax administrations to establish protocols and systems for collecting, evaluating, and exchanging information that, in many cases, did not previously exist. The ultimate legacy of the BEPS project is not yet clear. However, its potential impact on tax planning should not be underestimated. Taxpayers should consider the potential impact of BEPS-related domestic law or treaty changes on future planning as well as existing material structures and transactions. Because many of the minimum standards and recommendations described in the final report will need to be implemented through changes to domestic law or bilateral tax treaties, taxpayers should closely follow legislative, regulatory, and treaty developments in the countries in which they operate. As we learned at the TEI’s Annual Conference in Dallas in October—just weeks following the release of the final report—this is, in effect, only the beginning of the process in terms of BEPS implementation. Some of the activities discussed will not require any immediate response from outside organizations. However, others will impact treaties, require passage of legislation, and/or involve additional regulation and guidance. We do know one thing for sure: Discussion of BEPS will not end with the release of the final report, but it does begin with this document, which took years to produce. In this magazine, we could probably have written massive amounts of analysis about each of the fifteen actions. (See box on page 20 for a list of documents.) We decided instead to simplify matters. In addition to this background and introduction (Part I), this cover story includes incisive discussion of BEPS as a standard setter (Part II), written by Mary Bennett; probing analysis of the potential effects on tax administration (Part III), written by Manal Corwin and Michael Dolan; and insightful discourse on what it all means from a tax-planning perspective (Part IV), written by Philip R. West and Amanda Varma. After you read these excellent articles (and we certainly hope you do), chances are you still will be asking, “So, what should I do next?” We intend to stay on top of this issue in the magazine by continuing to provide expert analysis and guidance. Stay tuned. 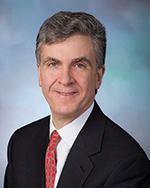 Michael Levin-Epstein is senior editor of Tax Executive magazine. With the release of the OECD’s BEPS final report, it’s an appropriate time to consider how the BEPS Project has affected the role of the OECD as a standard-setter in international tax and how that role is likely to evolve in the future. Whether the BEPS Project will have the fundamental, global impact on international tax rules hoped for by its participants remains to be seen. The project has definitely brought into focus, however, some challenges inherent in being an effective international tax standard-setter in today’s world. When viewed historically, there is no question but that the OECD has had a profound impact on those aspects of international tax law for which it has sought to establish standards. The prime examples of that influence have traditionally been its international tax standard-setting instruments, the Model Tax Convention and the Transfer Pricing Guidelines. When the Model was first developed more than fifty years ago, only a few dozen bilateral tax treaties were in force around the globe, and no single model treaty text or commentaries had achieved widespread consensus. Today, that network has grown to well over 3,000 double tax treaties in force, and their text is based mainly on the OECD Model. Likewise, as described in the Commentary on Article 9 (Associated Enterprises) of the OECD Model, the OECD’s document entitled Transfer Pricing Guidelines for Multinational Enterprises and Tax Administrations (TPG) “represents internationally agreed principles and provides guidelines for the application of the arm’s length principle of which the Article is the authoritative statement.” Here, too, the TPG have had enormous influence on the development of transfer pricing law and practice across the globe. While only a handful of countries had transfer pricing rules in place twenty years ago when the modern version of the TPG was first published, that number has now climbed to well over one hundred, and the jurisdictions that do not claim to follow the TPG as their guidelines for applying the arm’s length principle are in a tiny minority. Particular strengths of the OECD as an organization have contributed to its traditional success with these instruments. One is its consensus method of reaching decisions: This means that all member countries must either support the decision or abstain from voting on it before it can be considered adopted. While the organization has obviously developed some creative approaches over the years to achieving that consensus (e.g., by allowing countries to reserve on individual Model provisions or to record “observations” on the Model Commentary), the consensus approach has been a powerful tool to reach coordinated policies on the affected issues and to present those policies as having a strong level of international support. These consensus agreements have achieved an even greater “soft law” status when they are backed up by Recommendations of the OECD Council of Ministers, which are effectively formal and public political commitments on the part of the member countries to adhere to the relevant recommendation (see, e.g., Recommendations C(97)195/FINAL on the Model Tax Convention, C(95)126/FINAL on the Transfer Pricing Guidelines, and C(2008)106 on the Attribution of Profits to Permanent Establishments). Another strength is the OECD’s well-organized committee system (with the Committee on Fiscal Affairs, or CFA, and its various subsidiary bodies being responsible for tax matters), its professional secretariat staff, and its well-developed working protocols. These assets have helped the OECD pursue its self-proclaimed way of working, which involves: (1) data collection, (2) analysis, (3) discussion, (4) decisions, (5) implementation, and (6) peer reviews/multilateral surveillance. While this way of working has come under criticism in the BEPS era for being too slow and too unresponsive to political imperatives from above, it has had the advantage of allowing the OECD to produce documents that have been generally well thought out and the implications of which have been well understood by the governments called upon to endorse them. This has tended, on the whole, to contribute to the persuasiveness, coherence, and stability of the OECD’s recommendations. The OECD has been grappling for years with the issue of how to involve those countries in the process of standard-setting when there is still a mutual hesitation to make them full members of the organization. Another feature of the OECD, its limited membership, is often criticized but in a certain sense has contributed to its historical effectiveness as a standard-setting organization. Its thirty-four member countries primarily represent advanced market economies. This relative commonality of economic perspective and legal, commercial, and administrative sophistication has traditionally helped the members reach consensus on how to handle international tax issues. This is not to say that the OECD has been blind or deaf to the needs and interests of emerging or developing economies. Indeed, most of the non-OECD G20 countries have been highly engaged participants in the work of the Committee on Fiscal Affairs and its Working Parties for a decade or more, and the OECD Center for Tax Policy and Administration (CTPA) has long devoted a very substantial portion of its budget and time to fostering an ever-deepening dialogue with developing countries across the globe. But it is fair to say that, until recently, its main efforts to set standards in substantive international tax law have primarily focused on the perspectives of the developed economies. So what challenges to the OECD’s role as a standard-setter have arisen, both from within and from forces outside the BEPS Project? One challenge is clearly the emergence of large, nonmember jurisdictions (e.g., Brazil, Russia, India, and China, or the BRICs) as important players in the world economy. The OECD has been grappling for years with the issue of how to involve those countries in the process of standard-setting when there is still a mutual hesitation to make them full members of the organization, with all of the commitment to OECD standards that entails. A related phenomenon is the increasing focus on how international tax rules affect developing economies. OECD officials have been justifiably proud of their success in having all the nonmember G20 countries participate actively and on an equal footing with OECD member countries in the BEPS discussions, and they have specifically noted that they reached a full agreement on the final BEPS reports among the more than sixty countries (including more than a dozen developing countries) directly participating in the project. Assuming that all those countries were granted full voting equivalence with OECD member countries in approving the BEPS package, one would hope that they all have the same level of commitment to adhering to the recommendations as the OECD members. At this point, however, there is no mechanism comparable to an OECD Council Recommendation to provide transparency into that question, and one cannot help but notice, for example, that the final report on BEPS Actions 8-10, which recommends changes to the TPG, includes an indication that Brazil will continue to apply its fixed margin approach to determining transfer prices (rather than the TPG’s approved methods) and will “use the guidance in this report in that context.” In the longer term, if the OECD hopes to continue to be successful as an international standard-setter, it will have to develop a framework by which it can combine the all-to-be-desired, more inclusive decision-making approach with the kind of full and transparent political commitment on the part of the participating countries that allows the new standards actually to achieve the status of soft law. The OECD has a number of strengths that probably make it better placed than any other organization to be the premier international tax standard-setter in the years to come. That being said, the organization will have to pay attention to a number of challenges to be successful in that regard. It will have to develop a framework by which it can combine a more inclusive decision-making approach with the kind of full and transparent political commitment to those standards on the part of the participating countries that allow the new standards actually to achieve the status of soft law. It will need to think hard about what the appropriate “market” for its standards will be, recognizing that effectiveness does not necessarily lie in trying to be all things to all people. If the OECD hopes to be a standard-setter for countries’ domestic substantive tax law rules, it will have to develop more of a cultural acceptance of its role in that area among governments and a mechanism for recording and monitoring countries’ adherence to the domestic law standards it hopes to set. It will have to strike an appropriate balance between responding to the political demands of the moment and developing solutions that have benefited from the kind of thorough policy analysis at which the OECD has long excelled. It will have to develop effective monitoring mechanisms, with liberal involvement of the business community to provide quick notification when problems of implementation arise. In deciding how far to go in responding to the complaints that the OECD’s standard-setting is not inclusive enough, the organization will also have to make decisions about how and by whom it expects its standards to be used. It was interesting to note the pragmatism in the response of OECD CTPA Director Pascal Saint-Amans to the complaints that the BEPS Project’s country-by-country reporting recommendations did not adequately represent the desires of developing countries for more information; he basically said that if the OECD had had to wait for everyone to come to the table, nothing would have happened, and the agreement reached will provide information about ninety percent of the world’s corporate revenues. That sort of pragmatism will be useful in deciding many of the questions that will arise about the organization’s standard-setting in the years to come. For example, some commentators are asking whether there should be a move toward having one model tax convention for use globally, rather than continuing to develop the OECD and UN models separately. Whether the OECD would or should support a move in that direction could depend on whether it makes more sense to maintain a separate UN Model for treaties between developed and developing countries, or whether the preferences of the developing countries should be sufficiently infused into the OECD Model to make it more palatable for that purpose, rather than tailoring its provisions to the high volume trade and investment occurring between developed countries. The OECD will need to think hard about what the appropriate “market” for its standards will be, recognizing that effectiveness does not necessarily lie in trying to be all things to all people. Another challenge relates to the effort, first undertaken seriously in the BEPS Project, to set substantive tax law standards that can be implemented only through domestic legislation. As mentioned above, the OECD’s substantive tax law standard-setting in the past had focused on treaty issues (i.e., the content of the OECD Model and the application of Article 9’s arm’s-length standard under the TPG). In the course of the BEPS Project, the OECD really for the first time waded into the challenging waters of considering standards for aspects of countries’ domestic substantive tax law, an area typically zealously guarded as within countries’ sovereignty. This proved to be particularly difficult, and it is clear that the “minimum standard” agreements emerging from the BEPS Project (i.e., the points on which all participants agreed to conform) did not include any of those topics (i.e., no minimum standards agreed for the digital economy, hybrid mismatch rules, controlled foreign corporation regimes, or interest deduction limitations), with the exception of harmful tax practices. One is tempted to conclude that the success in reaching a minimum standard agreement on the latter issue, which has had a strong European flavor throughout, was perhaps attributable to the fact that the EU carries a bigger stick than the OECD in this area. Ultimately, if the OECD hopes to be a standard-setter for countries’ domestic substantive tax law rules, it will have to develop more of a cultural acceptance of its role in that area among governments and a mechanism for recording and monitoring countries’ adherence to the domestic law standards it hopes to set. Its growing success in setting and monitoring the implementation of standards for countries’ domestic law administrative issues in the tax area (e.g., information reporting and information exchange) may well help to pave the road in that direction. OECD officials have been very candid about their view that any success the BEPS Project may have in altering the international tax landscape will be attributable to the high-level political interest brought to the topic by the G20. Indeed, the organization has successfully harnessed that political momentum to bring to fruition a number of work projects it had on its plate well before the word “BEPS” was ever heard (e.g., hybrid mismatches, the permanent establishment definition, the transfer pricing of intangibles). The downside of riding the political wave has probably been the need to meet unrealistic time demands and in some cases to decide upon outcomes before analyzing what the best solutions might be to the real problems that exist. One can only praise the Herculean efforts of the OECD staff and delegates in producing as much output as they have over the past two years, but one can also question whether the pace and unabashedly top-down direction have produced recommendations that will stand the test of time. To be sure of a successful future as a standard-setter, the OECD will have to strike an appropriate balance between responding to the political demands of the moment and developing solutions that have benefited from the kind of thorough policy analysis at which the OECD has long excelled. The coming year will also see the laudable effort by the OECD to develop a multilateral treaty designed to amend thousands of existing bilateral treaties in streamlined fashion to introduce the BEPS-inspired treaty changes. The final BEPS reports are full of discussion of implementation, and this should be welcomed as a clear sign that the organization hopes to see its standards applied faithfully and consistently. The OECD as an organization has long used the mechanism of peer reviews to monitor its members’ implementations of the standards it sets, but it has made surprisingly little use of such monitoring to date in the tax area, outside the context of exchange of information. So the coming months will reveal the fascinating process of efforts to develop new monitoring mechanisms for the minimum standards agreed in BEPS. The OECD would be well advised to involve the business community liberally in that monitoring process. Much more than fellow tax administrations, businesses are likely to be the canary in the mine that will quickly know when problems are arising with implementation efforts. The coming year will also see the laudable effort by the OECD to develop a multilateral treaty designed to amend thousands of existing bilateral treaties in streamlined fashion to introduce the BEPS-inspired treaty changes. There, too, consultation with business will likely help identify the landmines that will have to be cleared for that complicated document to be completed within the one-year deadline. 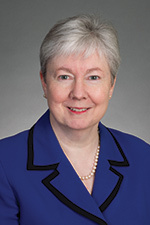 Mary Bennett is a partner at Baker and McKenzie LLP in Washington, DC. Despite widespread political support for the work of the Organisation for Economic Co-operation and Development (OECD) with respect to base erosion and profit shifting (BEPS), implementation of the recommendations emerging from the project1 could pose significant challenges for every tax administration in the world. While the extent and nature of these challenges will vary across tax administrations, most tax administrations implementing even some of the BEPS recommendations will be impacted in significant ways. We discuss here the various facets of the BEPS recommendations that are likely to be most challenging for tax administrations. Pursuant to the recommendations under Action 13, multinational companies will be required to provide in a single report (country-by-country, or CbC, report) detailed information about their operations in every jurisdiction in which they operate.2 The reports would relate to fiscal years beginning on or after January 1, 2016, with the report due one year later. Thus, the first report for multinationals with fiscal years ending December 31, 2016, would be due by December 31, 2017. In general, the head company of a multi-national group would be expected to prepare the CbC report for the entire group and file it with their residence jurisdiction. The residence jurisdiction would then share the report with other countries through automatic exchange of information, pursuant to government-to-government mechanisms such as the multilateral Convention on Mutual Administrative Assistance in Tax Matters, bilateral tax treaties or tax information exchange agreements. Countries that do not receive the report in this way may request the report from local subsidiaries. The final report on Action 13 recommends that (1) the first CbC reports should be with respect to tax years beginning after January 1, 2016, and (2) the first reports should be filed one year after the end of the tax year with respect to which the report relates. Implementing these recommendations in some jurisdictions may require amendments to domestic legislation in addition to administrative guidance, which can be a difficult and lengthy process. Even if the recommendations can be implemented without legislative change, most jurisdictions will need to provide written administrative guidance on the preparation and timing for submission of the CbC report in sufficient time for the effective dates proposed in the OECD recommendations, which will entail a significant amount of work for tax administrations. Mechanisms for exchanging the report, as well as procedures for reviewing reports received from other countries, also must be established. To help tax administrations with implementation of the CbC report, the OECD has developed an implementation package containing model legislation and model competent authority agreements. In addition, the OECD plans to develop an XML schema and a related user guide to accommodate the electronic exchange of CbC reports. In certain jurisdictions, multinationals will also be called on to file a “master file” providing additional information about their global transfer pricing, tax rulings, value chains, and operating structures, and a “local file” containing the transfer pricing documentation that a company would typically provide to individual tax authorities, but including additional information regarding a company’s management structure, business strategies, rulings, and reconciliation of financial data used in the transfer pricing analysis. Tax administrations will be required to draft implementing regulations and create compliance-monitoring mechanisms for these requirements as well. In addition to the work involved in implementing and monitoring compliance with these new requirements, tax administrations also will need to monitor the use of the CbC reports to make sure that jurisdictions with which reports are exchanged are safeguarding the confidentiality of the reports and not using them for any purposes other than risk assessment. In connection with Actions 8, 9, and 10, the OECD recommended amendments to various chapters of the OECD Transfer Pricing Guidelines for Multinational Enterprises and Tax Administrations (OECD guidelines). Specifically, the OECD’s recommendations address risk and recharacterization (chapter I of the OECD guidelines), intra-group commodity transactions (chapter II of the OECD guidelines), intangibles including HTVI (chapter VI of the OECD guidelines), services including low value-adding intra-group services (chapter VII of the OECD guidelines), and cost contribution arrangements (chapter VIII of the OECD guidelines). Tax administrations will need to review and potentially revise current transfer pricing regulations to ensure consistency with the new transfer pricing guidelines, which may be an onerous task. Undoubtedly more difficult, however, will be achieving consistent interpretation of the new guidelines across jurisdictions. There is significant risk that in applying the new guidelines, jurisdictions will claim taxing rights over the same income. Accordingly, tax administrations will face an increase in the number of competent authority disputes and resulting Mutual Agreement Procedure (MAP) cases that will strain resources already stretched thin. Pursuant to the agreed recommendations under Action 5, existing preferential intellectual property (IP) regimes must be amended to include the modified nexus approach, which seeks to directly link IP regime benefits to the claimant company’s contribution to the development of the IP in question.3 No new entrants will be permitted in any existing IP regime not consistent with the modified nexus approach after June 30, 2016, but countries can allow taxpayers benefiting from an existing IP regime to keep such entitlement until June 30, 2021, at the latest. Tax administrations may need to devote significant resources to revising their ruling guidelines to comply with the new requirements. The new transparency rules will require tax administrations to establish protocols and systems for collecting, evaluating, and exchanging information that in many cases did not previously exist. The OECD has also recommended a framework for the compulsory spontaneous exchange of all taxpayer specific rulings, advance tax rulings, advance pricing agreements, and general rulings. For countries that have the necessary legal basis, the automatic exchange begins on April 1, 2016, for future rulings. In addition, rulings issued on or after January 1, 2010, and still in effect as of January 1, 2014, must be exchanged no later than December 31, 2016. Mechanisms for exchanging these rulings must be established, along with a procedure for reviewing the rulings to determine to which jurisdictions the ruling is relevant and thus should be spontaneously exchanged. consuming and resource-intensive processes. As an alternative to negotiating amendments to treaties one by one, Action 15 involves the development of a multilateral instrument (MLI) to amend existing bilateral tax treaties and thereby streamline the implementation of tax treaty-related BEPS measures (i.e., the recommendations under Action 6 relating to treaty abuse and under Action 7 relating to the definition of a permanent establishment). While there is precedent for a multilateral instrument (the Convention on Mutual Administrative Assistance in Tax Matters is signed by sixty-six countries), the MLI contemplated by Action 15 is a significantly more complicated undertaking, particularly with ninety countries participating in its development. In addition, questions remain as to whether the instrument will offer a menu of options for participating countries, or will incorporate a fixed set of provisions with a few options, and what the relevance of the MLI will be with respect to jurisdictions between which an income tax treaty is not currently in effect. Although participation in the development of the MLI is voluntary and does not entail any commitments to sign the instrument once it has been finalized, those countries that do participate likely will devote significant resources to the effort. Countries might favor signing an acceptable multilateral convention, however, to mitigate the administrative burdens associated with having to hold separate negotiations to amend each existing bilateral treaty. Implementation will require new internal infrastructures. While implementation of some of the recommendations in some jurisdictions may require relatively modest changes to existing regulatory or administrative guidance, in many cases, implementation could require the creation of an entirely new internal infrastructure—statutory, regulatory, and administrative. Some jurisdictions are way down the path of laying this groundwork, while others are still at the starting gate. Transparency rule will necessitate new protocols for information. The new transparency rules will require tax administrations to establish protocols and systems for collecting, evaluating, and exchanging information that in many cases did not previously exist. Countries may adopt inconsistent interpretations. There is also a significant risk that countries will adopt inconsistent interpretations or approaches to implementation that will lead to a greater number of competent authority disputes. Managing those potential controversies likely will prove demanding, particularly because most administrations already face significant resource constraints. Minimum standards could require revisions to procedures. The minimum standards for improving MAP emerging from the work on Action Item 14 could in some cases require some significant changes to internal processes and procedures. Moreover, the commitment to engage in the forum on tax administration and submit to peer review also could absorb significant resources. The FTA remains an extra-legal institution capable only of supporting what the individual member countries choose to embed in their respective laws and treaties. As the BEPS actions unfold over the coming months, it will be important that both administrators and taxpayers are attentive to the tensions inherent in the substantial role assigned to the FTA. Under Action 14, the OECD recommended the adoption of seventeen specific measures that comprise the minimum standard for the resolution of treaty related disputes, as well as a monitoring mechanism to ensure that the commitments embodied in the minimum standard are fulfilled. The OECD also identified best practices that are complementary to the minimum standard but are not part of it. Finally, the OECD reported that twenty countries have committed to adopt and implement mandatory binding arbitration. Implementing the minimum standard and arbitration mechanisms, if applicable, will represent another challenging future work stream for tax administrations around the world. Moreover, agreeing to submit to peer review inevitably will require interviews, reporting, and other transparency tools that can be time consuming and absorb resources. Since its inception in 2002 the Forum on Tax Administration (FTA), a creation of the OECD, has steadily expanded its role and significance in cross-border tax administration matters. Initially conceived in response to the surge of aggressive tax shelters, a group of tax administrators set for themselves the goal of promoting dialogue on strategic tax administration issues and facilitating the exchange of best practices. It is an organization open to member and nonmember OECD countries. Further development of a directory of aggressive tax-planning schemes and identification of trends and effective counter measures. Examination of the role of intermediaries. Expansion of corporate governance guidance. Improvements in taxation training—including secondment of specialists among tax administrations. In effect, the FTA presaged central components of BEPS when, at the close of its Seoul meeting, it pledged to place special emphasis on reinforcing and improving the practical implementation of exchanges of information processes found in bilateral treaties, keeping OECD transfer pricing guidelines up-to-date and consistently applied, and improving practical cooperation. Along the way the FTA has acquired additional member countries and influence. Under the FTA banner, the world’s senior tax administrators now routinely strategize on ways to address the issues that bear on cross-border tax administration. Nowhere is the rising significance of the FTA more apparent than in the requirements of Action 14, outlined briefly above, which oblige countries to commit to membership in the FTA and assign the FTA the responsibility to organize and oversee peer review of compliance with action’s minimum standards. During its relatively short life span, FTA has emerged as a formidable influence in the cross-border tax administration world. Its relevance and success derive primarily from its practical and tactical orientation. In contrast to some of the long-developing products of the traditional OECD working parties, the FTA’s collaborations often translate more quickly to action. Over the long term this can be viewed as both an asset and a potential liability. The total set of actions envisioned by BEPS are enormously far-reaching and will pose very challenging cultural, legal, and financial implementation issues for every tax administration. Administrations working in a collaborative forum surely can contribute to cogency of the BEPS implementation schemes. However, it is essential that implied or inferred FTA authorities not exceed its actual authority. It is important that FTA be acknowledged for what it is—a voluntary association of tax administrations that come together to share information and promote best practices. No matter how laudable or right-headed its ideas or recommendations might be, the FTA remains an extra-legal institution capable only of supporting what the individual member countries choose to embed in their respective laws and treaties. As the BEPS actions unfold over the coming months, it will be important that both administrators and taxpayers are attentive to the tensions inherent in the substantial role assigned to the FTA. Manal Corwin and Michael Dolan are with the Washington national tax office of KPMG LLP in Washington, D.C. The OECD officially launched the BEPS project in September 2013 with the adoption of the Action Plan on Base Erosion and Profit Shifting, which defined the BEPS project in terms of fifteen specific action items. The OECD released a final set of recommendations with respect to all fifteen action items on Oct. 5, 2015. The information required will include related and unrelated party revenue, profit and loss before tax, income taxes paid, capital, employees, and assets. A claimant’s contribution to the development of IP will be measured by reference to the related research-and-development expenditure as a proportion of total R&D expenditure. Qualifying R&D expenditures must be directly connected to the IP asset and will in principle not include interest payments, building costs, acquisition costs, and related party outsourcing. However, a thirty percent “up-lift” for qualifying expenditures is allowed to the extent that the taxpayer has nonqualifying expenditures. Third Meeting of the OECD Forum on Tax Administration, Sept. 14–15, 2006, Seoul Final Declaration. With the October 5 release of its final report containing a list of fifteen specific actions, the Organisation for Economic Co-operation and Development’s (OECD) Base Erosion and Profit Shifting (BEPS) project moved from study, debate, and consensus-building to implementation, monitoring, and—with respect to certain issues—more study, debate, and consensus-building. When evaluating this project, taxpayers should assess the extent to which it avoids domestic law changes that undercut general international tax standards and leads to double taxation. Taxpayers should also determine the extent that the final report will produce domestic law changes, with respect to hybrids, controlled foreign corporations, interest deductibility, country-by-country reporting, and mandatory disclosure rules, and revised tax treaties incorporating BEPS recommendations, with respect to limitation on benefits and/or a “principal purpose test” rule and modifications to the permanent establishment standard. Therefore, the long-term impact of the project will not be apparent for some time. But because measures taken in response to BEPS could have a significant impact on the tax consequences of cross-border transactions, structures, and financing, taxpayers should consider the impact of BEPS on their international tax planning now. Because BEPS-motivated changes could have a material impact on planning, it is important for taxpayers to closely follow legislative, regulatory, and treaty developments in the countries where they operate. Taxpayers and tax advisers reach a level of comfort with respect to the tax consequences of a contemplated transaction based on current law. However, a tax opinion that certain tax consequences “should” or are “more likely than not” to result under current law may have little practical value for a taxpayer if the relevant tax law on which the opinion relies is soon modified. 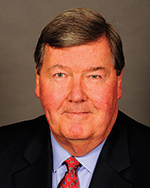 Although tax advisers cannot be expected to predict the future with certainty, and do not assume responsibility to update advice in the event of a change in law or regulation, taxpayers may wish to specifically seek an adviser’s view on the risk that the expected tax implications of a given transaction will soon change. Taxpayers should also evaluate existing structures and transactions in light of BEPS developments. In some cases, planning consistent with current law may remain viable unless and until a country implements a change to its domestic law or a relevant tax treaty is renegotiated. Determining whether proactive steps should be taken to modify current planning may take into account the strength of a position under existing law, the benefit being achieved, the likelihood and timing of relevant changes to domestic laws or tax treaties, a company’s risk tolerance, reputational concerns, and audit risk (including the risk that a tax authority may seek to, in effect, implement BEPS measures through audit by taking an expansive interpretation of existing law). The evolving tax landscape will require taxpayers to be on their toes, regularly assessing the impact of actual or potential law changes, perhaps attempting to influence such changes and then responding accordingly. The needed attention to developments in domestic law and tax treaties may require tax departments to focus on legislative and policy issues to a greater degree than in the past. This may necessitate increased coordination with government relations functions, greater engagement with policy-focused outside advisers, and/or a shift in internal tax department resources. Although changes in light of BEPS should generally be considered when assessing material tax planning, certain structures and transactions warrant special attention. As an initial matter, it should be noted that double nontaxation is increasingly under attack. Taxpayers should pay careful attention to transactions and structures that are said to result in income that is not taxable in any jurisdiction. Turning to specific structures and transactions that may be impacted by BEPS, changes to the OECD Model Treaty permanent establishment standard (to the extent adopted and incorporated in bilateral tax treaties) may impact supply chain structures, including those in which a local company (a commissionaire) provides marketing services to a principal company that sells products to local customers. The sales contract is between the principal company and local customer, and title passes from the principal company to the local customer. The commissionaire typically receives a cost-plus commission for its services. As a result of BEPS Action 7 (Preventing the Artificial Avoidance of Permanent Establishment Status), article 5(5) of the OECD Model Treaty will be modified to expand dependent agent permanent establishments to include situations in which a person acting on behalf of another enterprise “habitually concludes contracts, or habitually plays the principal role leading to the conclusion of contracts that are routinely concluded without material modification by the enterprise.” In addition, the article 5(6) exception for independent agents will be narrowed. Although the United States has expressed concerns about the revised agency standards and may not incorporate them into U.S. tax treaties, the revised standards may still impact, for example, non-U.S. principal companies transacting with non-U.S. commissionaires. 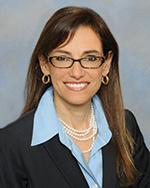 Taxpayers should consider whether alternative supply-chain structures, such as limited risk buy-sell structures, are preferable, taking into account uncertainty with respect to new concepts in the revised standard (such as “principal role” and “material modification”), potential attribution of profits to any permanent establishment, and, for U.S.-owned companies, subpart F implications. Supply-chain structures using local affiliates to perform warehousing and delivery functions should also be re-evaluated in light of changes to the article 5(4) “preparatory or auxiliary” exception(s) to permanent establishment status. Taxpayers that have been taking comfort from the literal terms of a particular preparatory or auxiliary exception should consider whether the exception would still apply in light of the additional requirement that each listed activity (e.g., the use of facilities solely for the purpose of storage, display, or delivery of goods or merchandise belonging to the enterprise) must itself be of a preparatory or auxiliary character. Taxpayers should also consider the impact of the new “anti-fragmentation” paragraph 4.1 of the OECD Commentary to article 5, which narrows the preparatory or auxiliary exception where an enterprise or its affiliate has multiple places of business in a country. The United States has indicated support for this provision, which, given that it will be added to the OECD Commentary, is arguably relevant to interpreting structures implicating U.S. tax treaties if one subscribes to an “ambulatory” approach to treaty interpretation that takes into account subsequent changes to the OECD Commentary rather than only the materials that were available to treaty negotiators prior to conclusion of the treaty. Taxpayers should continue to pay careful attention to financing. Although not likely to be moved more quickly in the United States as a result of BEPS work at OECD, other countries may adopt new or modified limitations on interest deductibility consistent with the final report on Action 4 (Limiting Base Erosion Involving Interest Deductions and Other Financial payments), which generally recommends a fixed ratio rule limiting an entity’s net deductions for interest to a percentage of its earnings before interest, taxes, depreciation, and amortization (EBITDA) along with a group ratio rule that would allow an entity with net interest expense above a country’s fixed ratio to deduct interest up to the level of the net interest/EBITDA ratio of its worldwide group. Controlled foreign corporation (CFC) financing structures, which generally seek to avoid subpart F income on interest payments through check-the-box planning or section 954(c)(6), should be re-examined if it appears that countries are likely to implement additional restrictions on interest deductibility. When the BEPS project began, several countries sought special rules specifically pertaining to online commerce. That approach was rejected in Action 1 (Addressing the Tax Challenges of the Digital Economy), which concludes that “[b]ecause the digital economy is increasingly becoming the economy itself, it would be difficult, if not impossible, to ring-fence the digital economy from the rest of the economy for tax purposes.” However, the digital economy was not left untouched by the BEPS work—the OECD’s work with respect to permanent establishments, transfer pricing, and CFCs could all impact planning with respect to online commerce. In addition, taxpayers should continue to watch for unilateral domestic law changes—for example, to treat a significant economic presence as a taxable nexus, impose a withholding tax on certain types of digital transactions, or impose an “equalization levy” intended to tax a nonresident enterprise’s significant economic presence in a country (e.g., by taxing transactions concluded remotely with in-country customers). Because many of the minimum standards and recommendations described in the Final Reports will need to be implemented through changes to domestic law or bilateral tax treaties, taxpayers should closely follow legislative, regulatory, and treaty developments in the countries in which they operate. This may require increased coordination with internal government-relations functions, greater engagement with policy-focused outside advisers, and/or a shift in internal tax department resources. When planning, taxpayers should keep in mind that double nontaxation is increasingly under attack and pay careful attention to transactions and structures that are said to result in income not being taxed in any jurisdiction. Certain structures and transactions warrant special attention in light of BEPS, particularly supply-chain structures, financing, hybrid instruments and entities, online commerce, and preferential regimes for intellectual property. Following BEPS, countries are likely to continue their scrutiny of transfer pricing. Taxpayers should ensure that material transactions are documented, the relevant contractual terms are consistent with the underlying economic substance of the transactions, and that the conduct of the parties is consistent with the relevant documentation. The impact of BEPS on patent box and other so-called “preferential tax regimes” should also be monitored. Action 5 (Countering Harmful Tax Practices More Effectively, Taking into Account Transparency and Substance) recommends a “nexus approach” under which regimes would require substantial activities and grant benefits to a taxpayer to the extent that the taxpayer undertook the core income-generating activities required to produce the type of income covered by the preferential regimes. Patent box regimes are likely to remain attractive and in fact should be considered by taxpayers whose current intangible property planning may be challenged under revised transfer pricing rules and/or by tax administrators with an invigorated focus on alignment of profits with functions, assets, and risks. Taxpayers should also consider the impact of various BEPS measures in the area of transfer pricing. Although implementation of country-by-country reporting is likely to take some time, taxpayers should consider in their planning the increased information likely to be available to tax administrators regarding global business operations; transfer pricing policies; related party transactions; and local profits, tax, employees, assets, and activities. The BEPS-driven revisions to the OECD Transfer Pricing Guidelines (contained in the final report for Actions 8–10) should also be taken into account in planning and pricing, though the extent to which the revised guidelines represent a significant change in law will differ by country (depending on whether a country formally subscribes to the guidelines and the extent to which the guidelines differ from a country’s existing law). Because the starting point for analyzing intercompany transactions is the relevant contracts, careful attention should be paid to documenting transactions (and whether contractual terms are consistent with the economic substance of the transactions) and ensuring that the conduct of the parties is consistent with the relevant contracts. Taxpayers should anticipate continued or increased attention by tax examiners on whether a party meaningfully controls and has the financial capacity to assume risks and is therefore entitled to an increased return for bearing such risks. 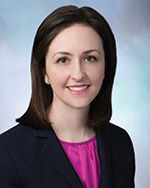 Philip R. West is chairman and head of taxation and transactions and Amanda Varma is an associate at Steptoe and Johnson in Washington, D.C.